Kon Tum (VNA) – Vietnam’s Central Highlands province of Kon Tum and southern provinces of Laos have enjoyed fruitful cooperation in recent years, especially in the fields of education, human resource development, socio-cultural activities, transport, tourism and agriculture. 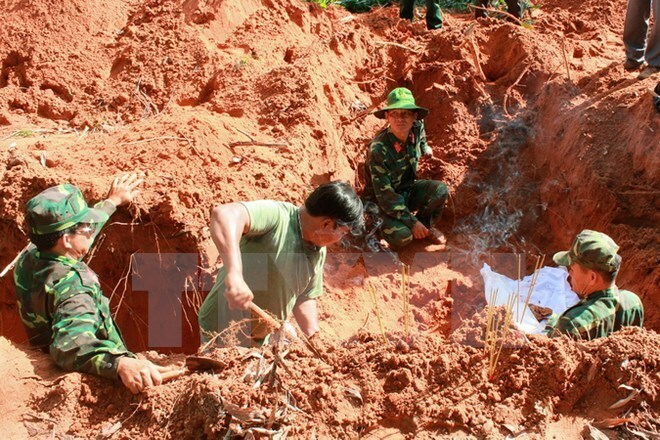 The four southern provinces of Laos have helped the Vietnamese locality search and rebury remains of Vietnamese volunteer soldiers who laid down their lives in Laos. However, the outcomes have yet to match potential and expectations of both sides. Kon Tum wants to strengthen cooperative ties with its Lao partners in a more sustainable and extensive manner in the future. In the coming time, Kon Tum and the four provinces of Laos plan to propose their respective governments upgrade infrastructure at border gates and conduct joint patrols along the shared borderline in a bid to prevent smuggling and illegal mining and forestry product exploitation. Kon Tum wants the Lao provinces to focus more on exchanging delegations to share management experience and improve their qualifications. Meanwhile, the Lao localities desire to better coordinate in implementing the memorandum of understanding among them, and continue multifaceted cooperation, thus contributing to the friendship between the two nations.